The photographs below are from a client who lives in an older property in Buxton which you may have heard of due to its famous spa and popular spring water. Buxton is situated in the county of Derbyshire, in the East Midlands and has the highest elevation of any market town in England. 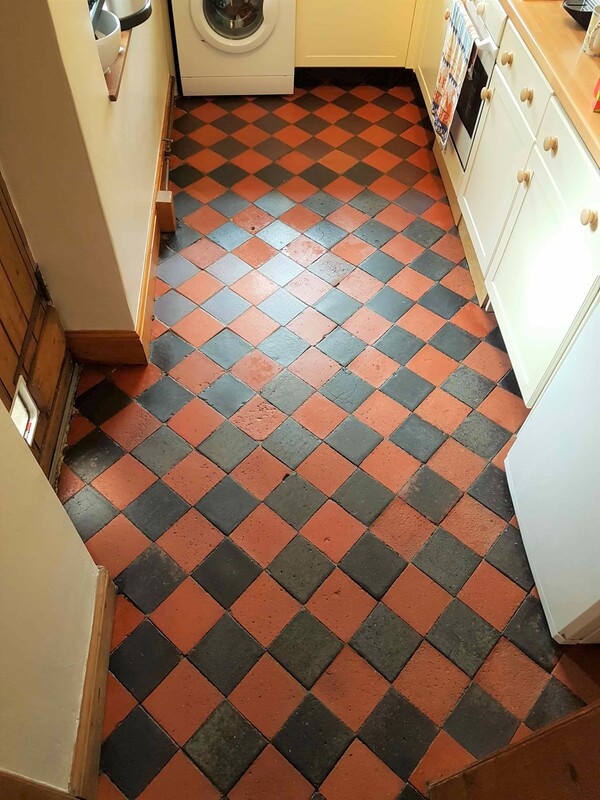 The property had Red and Black Quarry tiles laid throughout the Kitchen and the downstairs in a diamond pattern. Quarry tiles are very hard wearing and thus a popular and traditional flooring option for high traffic areas in the past. Certainly, in this case they were in good physical condition given their age and they looked very much in-keeping with the period property along with the fireplaces. The client loved the feature floor but felt the tiles were looking neglected and they were struggling to keep them clean. 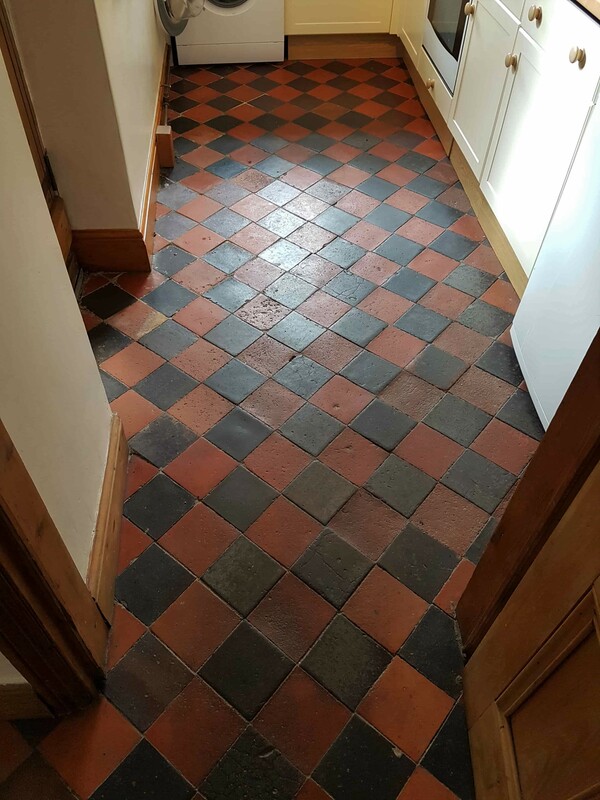 This is a common problem with quarry tiles which are porous and need to be sealed to keep them looking good, however over time the sealer wears down with use and dirt becomes ingrained in the pores of the tile making them impossible to clean effectively. The client just wanted them to look clean and ensure they could be easily maintained. I recommended deep cleaning the tiles to remove the dirt and the sealing them to protect them going forward a process which usually takes around two days. My quote was accepted, and I returned on the agreed date to complete the work starting with the first part of the process which involved removing the ingrained dirt, grime and any remaining sealer that may be present on the floor. To do this I applied a strong dilution of Tile Doctor Pro-Clean and left it to dwell for ten minutes. The Pro-Clean was then worked into the tile and grout using a black buffing pad fitted to a rotary machine. Once done the now soiled cleaning solution was rinsed off the floor with water and a wet vacuum was used to extract it from the floor. Some areas of tile were stained with paint slashes from decorating and these was spot treated with Tile Doctor Nanotech HBU which stands for Heavy Build-Up remover and is pretty good at dealing with all sorts of stains and tough soiling on tiled floors. The floor was then dried using the wet vacuum and left overnight to allow it to dry out thoroughly. The client had left the radiators on overnight to aid the drying process and by the next morning the floor was nice and dry. I tested the moisture content to be sure and it was well within acceptable levels and therefore ready for the next stage. It’s important to ensure the tiles are dry before applying a sealer as the sealant won’t cure and the result will be compromised. I sealed the floor a couple of coats of Tile Doctor Colour Grow sealer. 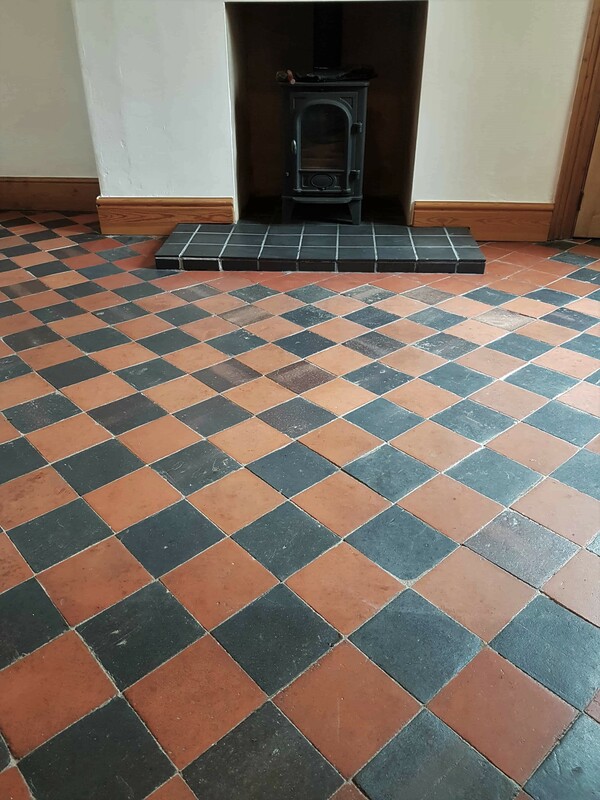 I chose this product because the house had some damp problems due to its’ age and I decided a breathable fully sealer was the best option for this situation as this will allow moisture to rise-up through the tile and evaporate without causing any problems. Colour Grow works by soaking into the pores of the tile protecting it from within and improving the natural colours of the tile in the process. 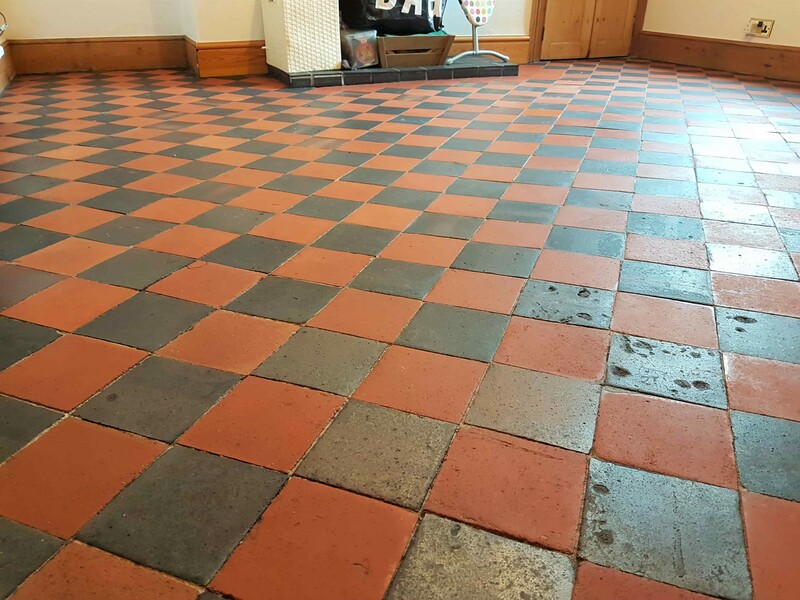 The end result was the floor looked much cleaner and colours in the tiles were more vibrant, needless to say my client was very pleased with the result and the sealer will ensure the floor is easy to maintain floor for the future as per their brief.